There’s a time and place for no-makeup makeup looks, haphazard hairdos and easy, flowing maxi dresses–and it’s Memorial Day through Labor Day, on the beach. The crisp air of fall marks a return to formality and ritual. And as you well know, ritual is vital when it comes to beauty. Incorporating a regimen of just a few products will maintain a healthy moisture balance, impart anti-aging benefits and avoid breakouts resulting from sampling incompatible formulations simultaneously. Focusing on a fresh start for fall, I’ve got tips for everything from skin care regimens to stash streamlining to closet clean-outs. Are you ready? Check it. Whether anti-aging, DIY or travel-friendly beauty is your concern, transitioning from summer’s abbreviated skin care and makeup regimens to the full routine is key. 1. Adjust your regimen of humidity-ready light moisturizers to the detailed version of your routine from serum to SPF. Note that the change of season can wreak havoc on skin, so a fresh lineup for the new season is best. Two-in-ones are the very portrait of efficiency–they lighten up a travel bag and yield estival low-maintenance looks, but that said, there’s a reason items that boast a singular vocation still have a place in our makeup bags. This autumn, simply kick bad beauty habits to the fallen foliage-adorned curb. Start by committing to a moisturizer with SPF daily. 2. Never again neglect your neck. 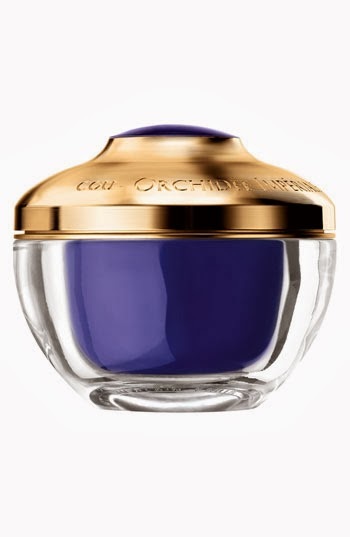 Guerlain Orchidee Imperiale Neck and Decollete Cream infuses that oft-overlooked real estate with a skin-smoothing cocktail of hydrators. After being exposed to the sun and surf, skin needs a bit of damage control, so dab a bit of Olay Regenerist Intensive Repair Treatment to any facial zone that’s aging-prone. Remove makeup at night to avoid clogged pores and apply anti-aging cream regularly.In addition to skin care, autumn is the time to assess your current state of your entire beauty/fashion union. 3. Reorganize your closet by moving fall and winter clothing to the forefront, storing summer items in the back and high up top. Purge pieces no longer doing your wardrobe justice. As for beauty, start by dumping all of your products onto a towel on the floor and trash any old/expired makeup and skin care items. Reacquaint yourself with the richer hues and textures of fall makeup and stock up on these. Remember that robust shades look best on a canvas that’s well hydrated so as not to call attention to fine lines. Now’s the time to toss makeup brushes that are past their prime and to thoroughly wash the ones you’re keeping. 4. Switch out body and hair products in favor of those with creamier consistencies for cooler climates. Stash gossamer summer fragrances in favor of richer, more luxurious fall scents. 5. Schedule a cut and color with your favorite stylist and colorist to update your hairstyle. 6. From a nutritional standpoint, ensure you’re eating Vitamin D-infused foods in fall, as we spend less time in the sun. Rather than ingest supplements, go directly to the source by eating foods rich in Vitamin D. Some Vitamin D-rich foods include eggs, swiss cheese, sardines and Vitamin D-fortified milk and orange juice. After a season of jaunting to near and far-flung locales, a weekend in can feel almost as exotic. With fewer barbecues, family gatherings and weddings, you’ll have more time to make your living space more efficient. 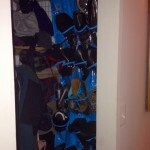 Spring cleaning gets all the press, but fall organization is just as critical. An update for your home decor is simple. 7. 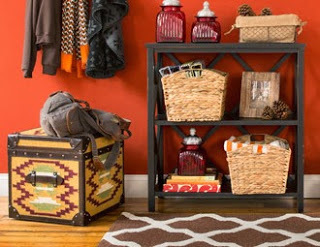 Add an autumnal aura by adding dashes of rich color via pillows and throws and declutter your living space by investing in organizers of all sorts–bins, boxes and baskets. Before you transition your purse paraphernalia into your new deep-hued leather delight, eliminate anything extraneous establishing residency in your bag–old receipts, that lipstick without the lid, stray wrappers, notes, etc. You’ve tackled your skin care regimen, beauty stash, closets and living space. Now, your duties progress from the physical to the abstract. Here’s how to streamline your social schedule, wellness efforts and work ambitions for fall. Temperate nights are temporal and up the tempo on your social life and your career. Events abound in the fall, as there’s no need to do “roll call” every weekend to see who’s in town, so ring in the season by planning nights out with friends you’ve missed. Conversely, wedding season is nearly over, so there’s less chance of running into a former acquaintance whose company is less than thrilling. The fall is the ideal time to reassess your relationships and spend less time with those that are less fulfilling. 8. To balance a hectic lifestyle, list ways you like to decompress–practicing yoga, scheduling a massage, indulging in a few hours of television, for example–and make sure to incorporate at least one of these into your weekly schedule. “You time” is nonnegotiable. Exercise also helps you unwind. Plan in advance your weekly workout schedule so you’re more likely to stick with it. 9. At the office, investigate all of the ways you can keep track of agenda items from reminders to to-do lists to calendars from your smartphone via apps. Simply writing down work goals and the steps required to accomplish them forces you to create a process and yields clarity. Initiate a conversation with supervisors and clients to see what you could be doing in order to help their jobs run more smoothly. 10. Lastly, as new-agey as it sounds, creating an inspiration board for your professional (and personal) life featuring aspirational photos and phrases can help you visualize your ambition. Lest you doubt a vision board’s power (and I certainly did, initially), just know that I made one a couple years ago that included the “Vogue” logo and my byline underneath it. And then THIS happened. How do you streamline in the fall?